The Basic Plus Kit from Old West comes with everything you need to begin brewing extract beer, except the bottles and brewpot. 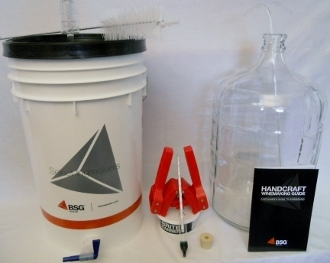 The primary fermenter is a roomy 6.5 gallon food-grade plastic bucket with no syphon spigot, and the glass secondary fermenter will allow you to age and clear your beer for superior results. An how to text is also included that you will use for years.